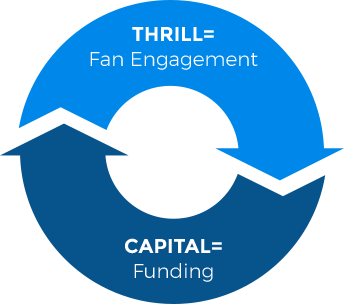 Venture Capital for Sports with a focus on fan investment, engagement and ownership. Maximising financial and emotional ROI and minimising risk. charge, electrify, excite, exhilarate, galvanise, intoxicate. Fan Focused VC for Sport, linking passion and funding. An indie version of Redbull Sports driven by Sporting Innovation, Talent and Fans.